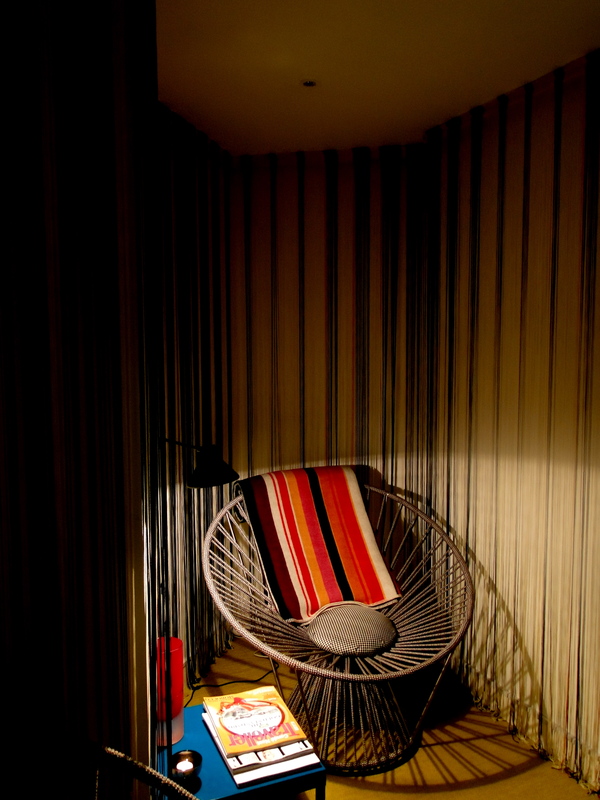 The Missoni Hotel in Edinburgh was one of those places which I wanted to check out, but had never really gotten round to going to. So, when I was invited to check out their new Valentines package I jumped at the chance. The spa use Eve Lom, Natura Bisse, and Aromatherapy Associates products, so I knew I would be in for a good time! The hotel is situated in ‘Old Town’ Edinburgh – think castles, medieval streets and shops which sell impressive amounts of tartan, so parking was a little worry for me, but the hotel provides a valet service, which was most appreciated as it was really disgusting weather when I drew up. The doorman, complete in Missoni kilt greeted me at the doors, and knew my name (always impressive!) and was super lovely, showing me up to the spa on the hotel’s second floor and taking my keys. 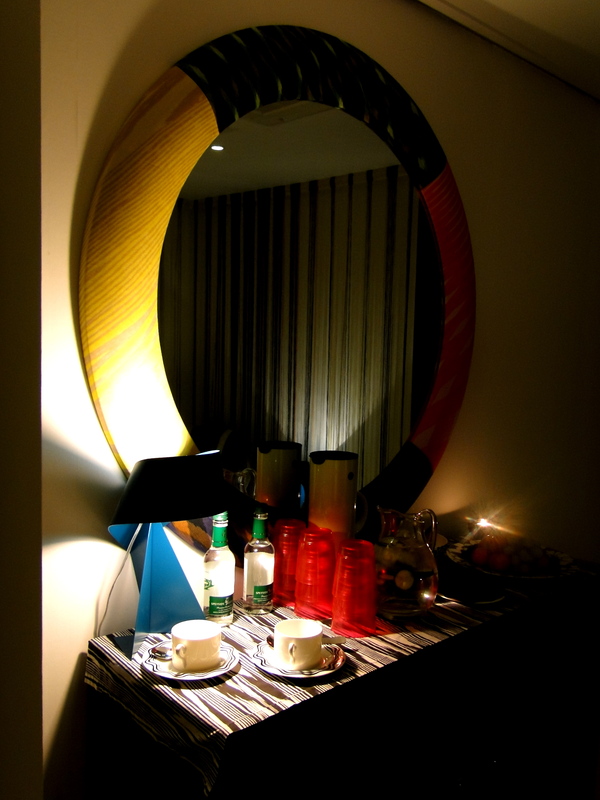 The hotel itself is super fun – the lobby is all graphic stripes and bold colours – not like anything else in the city. I was a little early, but Zoe, my therapist was ready for me, and talked me through the treatment and let me change into one of the fun housecoats and slippers which were waiting in the changing rooms. The decor of the spa isn’t like anything I have seen before – like the hotel itself, Missoni stripes dominate, with bright greens and blues, but don’t worry, it makes for a surprising but fun experience. Before and after treatments, guests can make use of a relaxation room with drinks, snacks and magazines on hand allowing you to linger and fully relax. So, onto the treatment itself. I was led into the smaller of the treatment rooms which was filled with candles, lovely and cosy, and sat on a stool whilst enjoying a foot soak and foot and leg scrub. The products were chamomile and spearmint scented and left my legs and feet soft and moisturized, then it was time to hop up on the (heated) massage table. 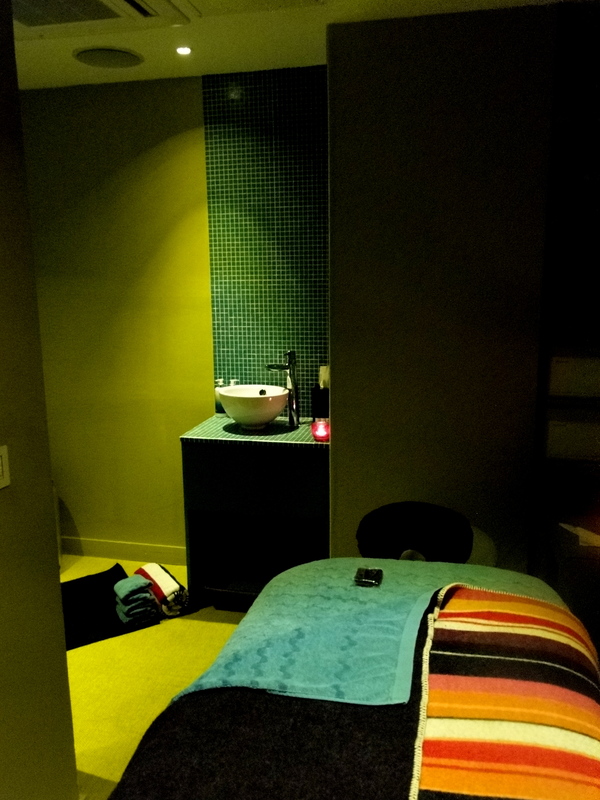 Asking for a hard massage, I was not disappointed – this is one of the best massages I have had – ever. Using Ylang Ylang and Rose oils (this is a Valentines treatment after all) I was kneaded into submission. Not knots were left out in the full body massage. It was blissful. Starting on my neck and back (my tight spots) and then moving onto my legs and arms, there wasn’t a bit of me which felt neglected. And after the main event, Zoe moved onto an Indian head massage using Jasmine oils on my face and neck. This meant it felt as if I had a bit of a facial as well, as all the oils felt thick and luxurious, and left me feeling moisturized rather than sticky, which is sometimes the case. After 90 minutes I was in heaven, and basically asleep. I floated back into the relaxation area and enjoyed some cucumber water then (reluctantly) got changed. You see, the experience doesn’t end here. As I was leaving I was given the cutest gift, an Aromatherapy Associates box with essential oils for day and night – these are usually reserved for couples which book the treatment together, and are a really adorable way to continue the experience. 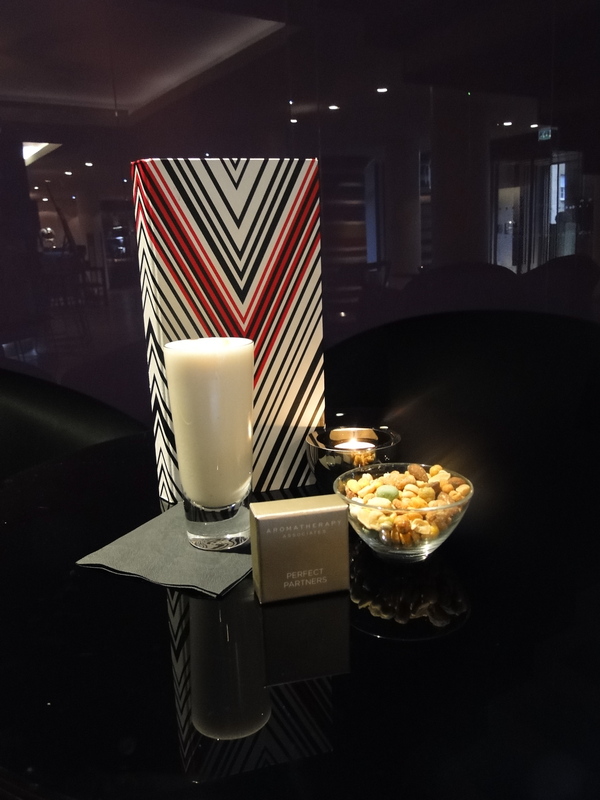 Not only this, but there is a cocktail which is included in the package – white chocolate and vermouth, which I had opted to have down in the hotel bar. As I got down there the bartender apologized for not having one of the cocktail’s ingredients – to be honest this was probably a good thing, I was basically comatose from the massage, and I’m not sure vermouth is a tired girl’s best friend when trying to negotiate Edinburgh’s crazy road system. Instead I opted for a non-alcoholic option – to be honest I can’t remember the name – but it consisted of fresh peaches and yoghurt, and it was a yummy way to end a wonderful morning of pampering. The hotel is definitely the city’s trendiest spot, and the staff were all really accommodating and helpful. As for the Valentines package – grab a partner and run to the spa – seriously! It was genuinely one of the best massages I have ever had!